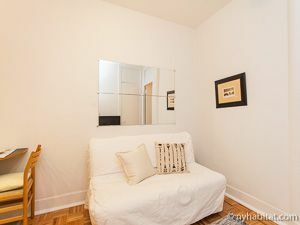 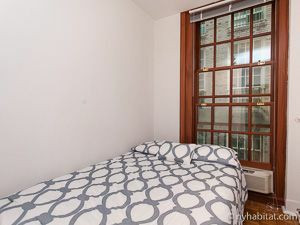 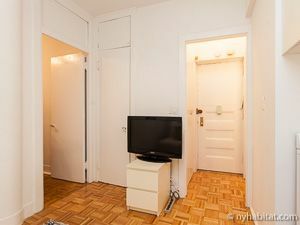 Live near some of the best museums in New York, among some of the biggest celebrities in the country, and just a short walk from Central Park -- with this one bedroom furnished apartment for rent in the Upper East Side of Manhattan! 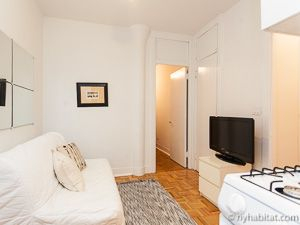 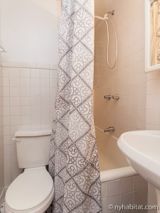 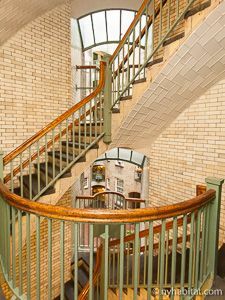 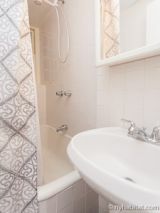 Located on 78th Street and York Avenue, the one bedroom apartment sits on the 3rd floor (considered 2nd in Europe) of a 6-story walk-up building constructed in the prewar era. 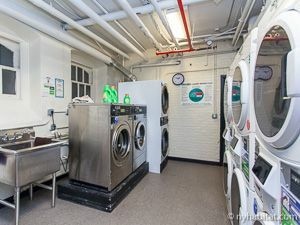 The building, equipped with a built-in security system, includes an on-site laundry facility shared by all tenants. 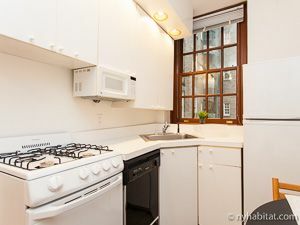 This is a modern NYC accommodation that spans approximately 300sqft (28 sqm). Decorated in a classic, neutral color scheme, it presents a home-away-from-home environment complete with convenient amenities and all the basics. 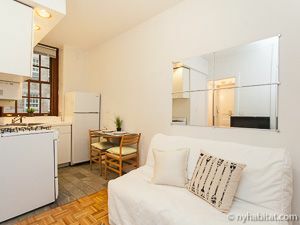 The living room and kitchen are open to each other, giving a feeling of spaciousness to the otherwise quaint accommodation. 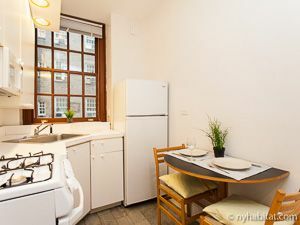 Amenities include a double sofa bed, flat-screen television, dining table for two, and a dishwasher that is located in the fully equipped kitchen. 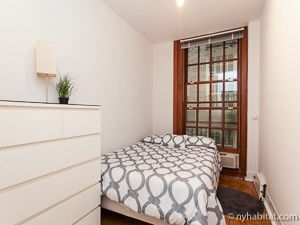 The bedroom is basic, spanning approximately 120sqft (11sqm) and providing a double bed.